Mobile app testing is a challenge that every developer has to face sooner or later. 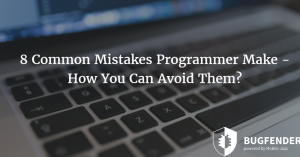 Despite all the technological advancements, innovations and development tools, it is still very difficult to develop a “bug-free” app that runs perfectly on all of the compatible devices. It is not fair to blame developers for this failure as they have to test their apps on a large numbers of devices running different platform versions. Traditionally, there are two ways to test iOS apps after the development phase: either developers can use real life devices to test their apps or they can use emulators for the purpose. Unfortunately, both of these methods have their own disadvantages and a relatively newer technology, remote testing is getting more and more traction nowadays. We’ll talk about that later. 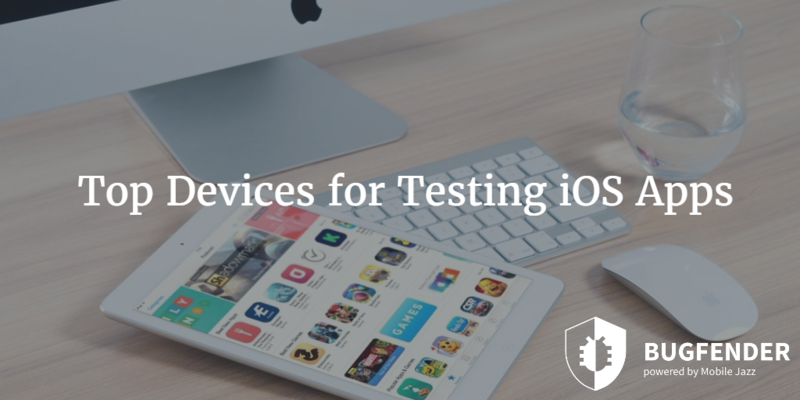 Let’s see the top devices for testing iOS apps. Surprisingly, at the time of writing this article, two of the most recent iPhone models (iPhone 7 and iPhone 7 Plus) are not in the list, but they both have 100% adoption rate of iOS 10 that is no surprise considering these models come with native iOS 10. The point is the 100% adoption rate of these two models does not make them the ideal choice for testing purposes considering they have very little market share right now. Developers must choose devices with high market share and high adoption rate for the latest iOS version. For example, iPhone 6, which is more than three times popular than iPhone 6s Plus, has 12% lesser adoption rate. Some of the latest devices like iPhone 7, iPod Touch 6G, iPhone 7 Plus, iPad Pro, iPad Pro 9.7, iPhone 6s Plus, iPad Mini 4 and iPhone SE has 1.9% average market share while their adoption rate to the latest version of iOS is 98% average. However, this doesn’t mean the things would stay the same in upcoming months. Top three most popular iOS devices iPhone 6, iPhone 5s, and iPhone 6s current has 13.5% average market share are certainly responsible for the higher adoption rate of latest iOS. Currently, more than 75% of the iOS devices are using any version of iOS 10 while only 18% devices are using iOS 9. Why Testing iOS Apps is Important? There are many reasons why mobile app testing is now more important than ever. The most obvious reason is the market itself and the attitude of users. Now users are very little tolerant about the abnormal behavioral patterns of the apps and bugs. However, we can’t blame the users here as there are free alternatives available for every app and users would definitely opt for a more stable app. Besides making the app with highest possible quality, stability and performance on the initial release, developers have to continuously work on the app to make it compatible with new devices, new operating system updates and even minor security updates. Different devices come with different hardware configurations like RAM, storage, processing power, screen size and others. It is important to make the app compatible with that specific hardware configuration to make it work. Not only hardware and software, but the network operators and technologies like GSM, CDMA and LTE can affect the performance and stability of an app. That’s where testing on real devices, used by real users in different parts of the world is important and significantly better than testing on emulators and lab testing. Sometimes mobile app testing is considered equal to desktop testing but these are two drastically different things. Mobile apps have to deal with mobile networks like 2G, 3G, 4G, LTE, Wi-Fi etc. while desktop software usually deal with dial-up connections and broadband. Desktop software are usually made while giving productivity the highest priority in every step of development and testing. While on mobile apps, it is user experience that matters the most. Remote testing tools like Bugfender can help developers get rid of traditional testing methods and their disadvantages. With Bugfender, developers don’t have to rely on lab testing but they can test their apps on actual devices from actual users. 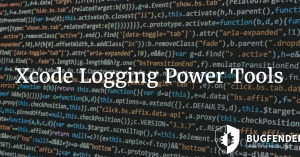 With remote logging tools, those devices can send logging data to the server from where developers can see the behavioral pattern of their apps and find bugs before their users do. The biggest benefit of using Bugfender is overcoming the device fragmentation problem. Device fragmentation used to be related to Android devices as thousands of manufacturers all over the globe produce Android devices and there are thousands of different models in the market. That means the number of users are distributed on a large number of devices that would make it harder for developers to test their apps on every popular device. Unfortunately, iOS developers have been facing the same problem for quite some time now. 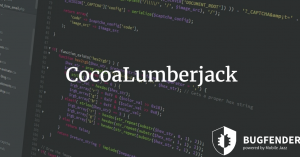 That’s why remote logging tools like Bugfender are considered the ultimate solution. as_websummit Created with Sketch. as_autodesk Created with Sketch. as_tesco Created with Sketch. as_safedome Created with Sketch. as_menshealth Created with Sketch. as_sk_telecom Created with Sketch. as_aimail Created with Sketch.